June 2017 | MMA Fighting Events Videos Techniques UFC Fight Picks and News. The main even at UFC 212 will unify the UFC’s Featherweight Champion (145 lbs). Jose Aldo held the belt for a long time until Conor McGregor snatched it with a quick first round KO. When McGregor moved on to fight in other divisions, the belt was vacated and Max Holloway won the Interim Featherweight Championship. Now it’s time to see who will sit at the official throne of the UFC’s Featherweight division. 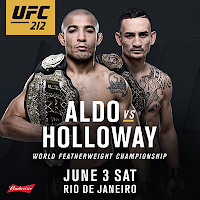 Let’s take a look at these two great MMA fighters and then I’ll make my fight pick for UFC 212: Jose Aldo vs. Max Holloway. Jose Aldo comes into this unification bout with an overall MMA record of 26-2. Also had won 18 fights in a row before that loss to Conor McGregor. He jumped back into his winning ways with a unanimous decision victory over Frankie Edgar last July. Now he wants to reclaim the throne! Jose Also made his way up the ranks with an impressive stand up game. His technique is top notch and he has the athletic ability to throw some quick and powerful chingasos! Aldo has 14 KO/TKO’s on his resume. In this fight, he’ll face another fighter that prefers to stand. 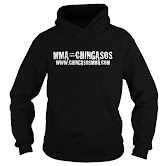 For those that like to see MMA fighters trade chingasos, this UFC fight is definitely be worth watching! Max Holloway comes into UFC 212 as the Interim UFC Featherweight champion with an overall record of 17-3. Holloway has racked up 10 wins in a row. His last decision loss way back in 2013 to Conor McGregor. Holloway has 7 KO/TKO’s on his resume including an impressive TKO of Anthony Pettis in December. Max Holloway seems to get better every fight. His best is going to be needed in this fight with Jose Aldo. Holloway has a big gas tank and a granite chin. He’s never been knocked out but he’s never fought someone with the striking skill that Jose Aldo brings to the table. Jose Aldo has an advantage in experience, and technically, he’s also the better striker. But, Holloway has a better gas tank. Also slows as the fight progresses into the later rounds. Look for the fight to start slow. These fighters will test the waters early but with so much on the line, unnecessary risks won’t be taken, at least early. Early on, Jose Aldo will win the exchanges with his crisper, tighter striking style. Holloway will have the chin, and heart to take the punishment and keep coming. As the fight progresses, look for Holloway to become more aggressive. 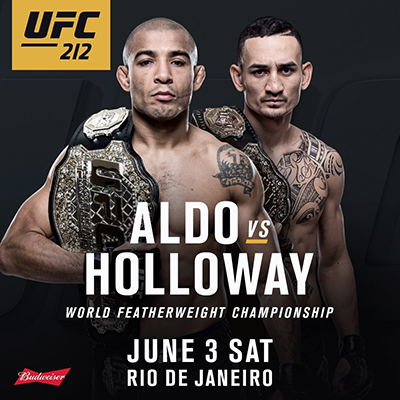 As Aldo begins to slow down, Holloway will turn up the heat and make the fight a test of wills. Holloway is a very intelligent fighter and a shark. When he smell bloods, he goes after the kill. Remember, Aldo was contemplating retirement a while back. In a sport like MMA, you can’t have one foot in the door and the other out. I see Holloway mentally breaking Aldo with his gritty fighting style. Look for Holloway to get stronger as the fight goes on, and Aldo to begin melting down. Holloway will be the one and only UFC Featherweight Champion at the end of the night. Who do you thing is going to win? Comment below.